One of the biggest things that my kids have been missing since I have started to move our family’s diet towards more raw vegan foods, is yoghurt. One of our weekend treats has been to make banana, cacao pancakes and serve them with berries, yoghurt and maple syrup, yummo! We are now eating them without the yoghurt and they taste fine, but there is something missing. 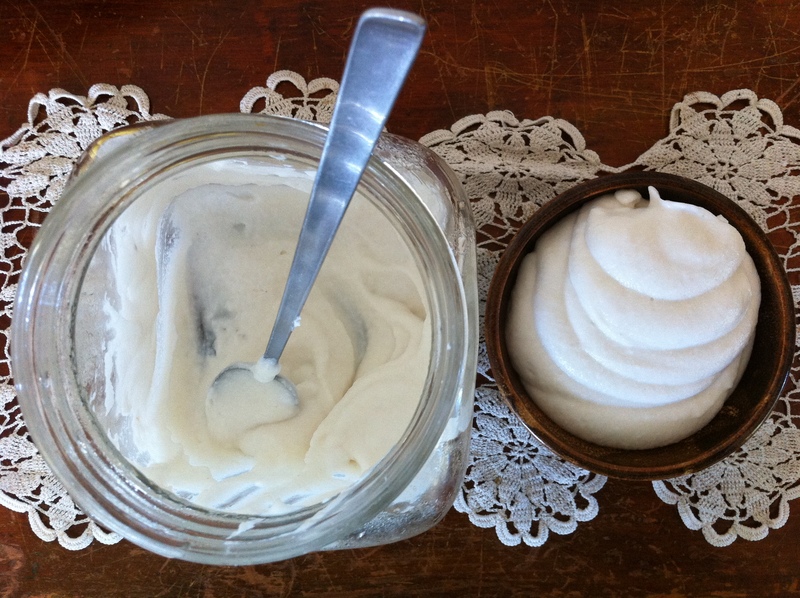 So, I was really excited when I came across the idea of making yoghurt out of young coconut meat. I didn’t following any particular recipe, but just went with the general idea of “how to” that I have gathered thus far. This is what I did yesterday. I kept the quantities small as this was my first experimental batch and my yield was about 1 & 1/2 cups. Meat from 2 young, green coconuts. Coconut water from 1 young, green coconut. Reserve the water from one coconut (drink the other or add it to a green smoothie, so refreshing!) and scoop out all the flesh from both. Place all the coconut flesh and the water from 1 coconut into your high-speed blender and blend until smooth and creamy. Scrap out into a glass jar that has an air-tight lid. Stir in the pro-biotics, replace the lid and place jar in warm spot on your counter top for 24-36 hours. I enjoyed it with vanilla bean caviar and a touch of rapadura. The kids….not so much! But that’s ok. As I told Miss 5, “it’s ok, you will like it when you’re bigger”. mmm..this sounds great and easy too. must try.